In 10-Minute Trainer, Tony put his most effective moves into a series of power-packed total-body workouts. 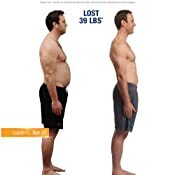 His breakthrough Super Stacking Technique combines fat-burning cardio, body toning and sculpting, and ab moves, adding resistance bands for even faster results. 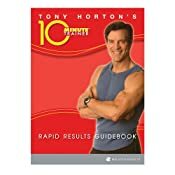 With just 10 minutes of Tony's Super Stacking you can burn as many calories as 30 minutes of jogging. With 10-Minute Trainer, you have no more excuses! Your kit includes everything you need to get better results in less time. 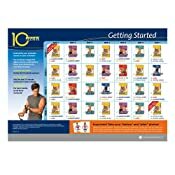 10-Minute Trainer comes with six amazing workouts on 2 DVDs including Tony's On-the-Go Workout Cards, Pro-Grade Resistance Band Kit, Cardio Belt, Customized Workout Calendar, Rapid Results Guidebook, Tony's 10-Minute Recipe Guide, and 2-Day Jump Start Plan.